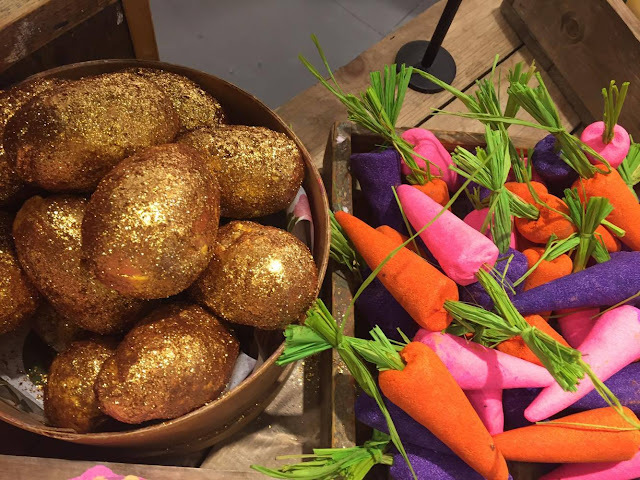 Lush released their Easter collection this week and I managed to get a sneak peak at the collection and test out a few bits too. With each season comes a new collection at Lush and besides Christmas, Spring is my second favourite. It's that time of year when the weather starts to warm up, the sun begins to shine, Daffodils appear and some tasty chocolate treats start to make their way into the shops. I do like winter, but I think after a while the dark cold evenings can start to be a mood-dampener, so I begin look forward to brighter nights and warmer weather. I am not personally a huge fan of Easter Eggs. I have had a few years when I have gone without or have only asked for one last minute, as I am not really a huge fan of chocolate. I would much rather have some sweets. 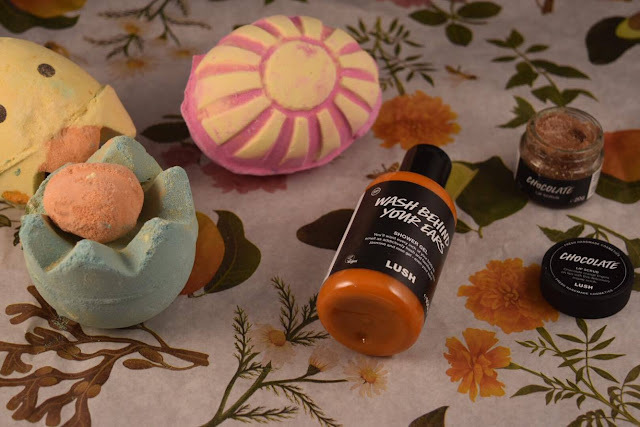 If you're trying to stay away from the chocolate, but still want a treat, why not find yourself a few Lush products, after all they will be much lower in calories! A bath bomb or two should also mean you are not left with a guilty feeling the same as the one you might get after polishing off a whole day's calories, after you told yourself "I'm just starting with the small chocolates that came with the egg...". We have all been there. 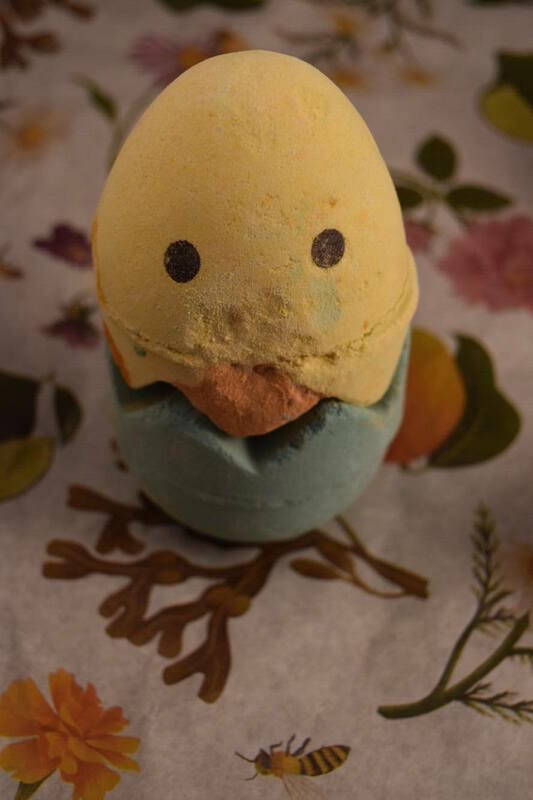 This bath bomb, based upon the age old philosophical question, will help you work out, when you crack/bash or pop it into your bath, which did come first; the Chicken or the Egg? This is perfect for the Spring with the lemony scent that leaves you in a perky mood when it fizzes up in your tub. It does fizz and dissolve quickly but this leaves a pinky/orange water, with a little surprise inside depending on which design you pick up. I won't give away any spoilers; I'll let you find this out for yourself. I think "Which Came First?" 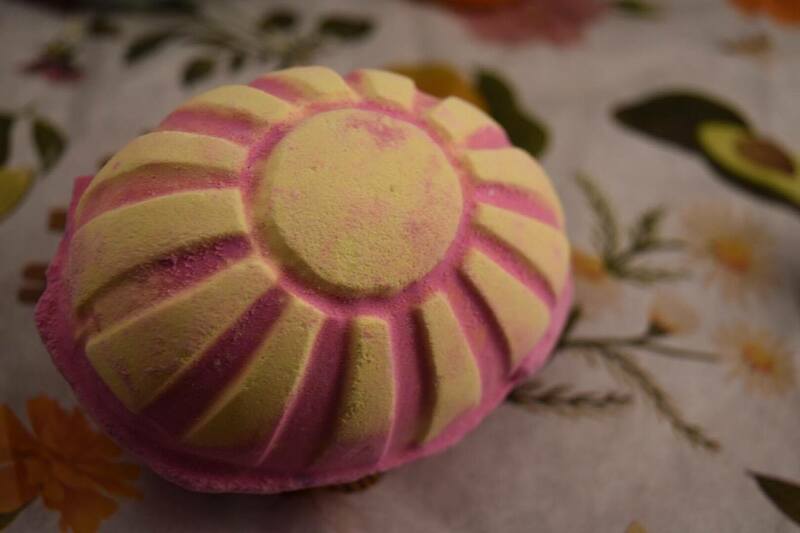 will be right up your street if you enjoy a morning bath, or one mid-day, as this will boost your mood, rather than leaving you drifting off ready for bed as can happen with many other bath bombs. It is a sure thing that this one will leave you ready and raring to go for the day. 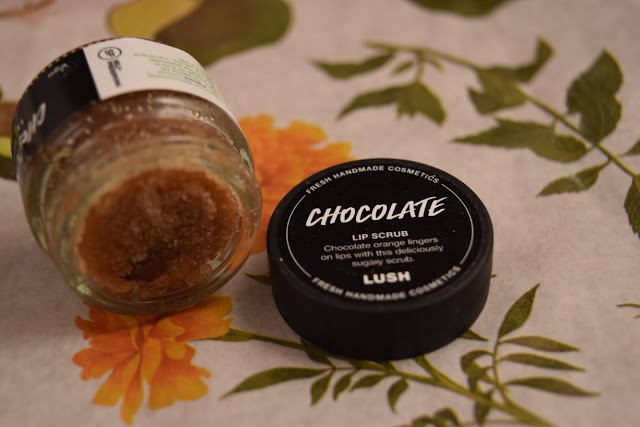 The Chocolate lip scrub is like applying a chocolate orange to your lips! I was unsure when I picked this up if it would taste anything like chocolate and perhaps it would just be mildly scented, but it certainly does as described. It's packed full of dark chocolate and tangerine oil, so it does remind me a lot of a Terry's Chocolate Orange. The great thing about this product is that if you do fancy a little taste, then you can, as the lip scrubs can be applied and then either wiped or licked off. Because of this I think this is my favourite lip scrub and I do hope they keep this product all year around as I am sure I will need some more very soon! This shower gel is very ORANGE! I do like this though as I can't say that I have ever tried a bright orange shower gel before, so it is a little different. The shower gel contains glycerine so is really foamy and feels indulgent on your skin. A little does also go a long way so it will last for ages. The orange colour comes from the infusion of carrots, which seems a little odd but as you'll know, these are said to be good your eyes as they contain Vitamin A, which also happens to be a friend to your skin, helping to brighten and to help with signs of ageing. The scent is Jasmine and Rose, but I found that this wasn't fragrant enough, so after showering the smell didn't seem to last, but this may be a good one for those who enjoy Lush products but are after a less Lush smelling product. I have saved my favourite item from the Easter range until last! This is so damn cute, I ALMOST didn't want to use it. The bath bomb is really big so can last at least 3 or 4 baths, unless you want to throw the whole thing in. This has a citrusy scent, again similar to other products but can see why as this is perfect for the Spring. It also contains Tonka Absolute (A seed from bean found in a lot of perfumes), which has a vanilla-like scent which gives you more of a sweet odour and the bergamot oil is there to help sooth your skin and leave you feeling silky soft. Have you tried any of the Easter products already, what are your favourites? *The products were gifted but the words and opinions are my own.